What is unique about digital age change leadership? Are today’s change methods fit for digital transformation and future of work change programs? How can change leaders use behavioral science to change culture? Why in an age dominated by technology are trust and empathy more important change leadership skills? How does millennial culture affect how we change hearts and minds? How do digital technologies support change management? Which global megatrends matter most for change leaders? Why do a quarter of fortune 500 companies have a Chief Behavioral Officer? Where do CBOs add value and what value do they add? What are the signs your organization needs a CBO? 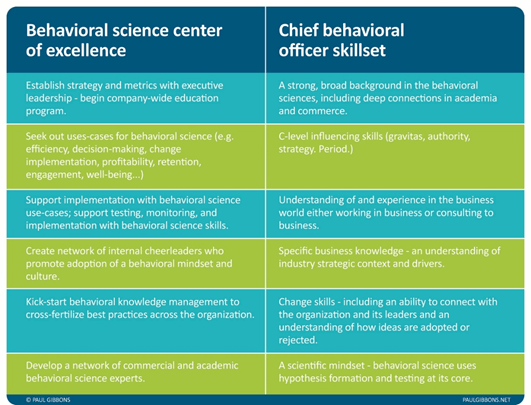 What skills does a Chief Behavioral Officer have? "Digital transformation is on the rise. The problem is there is a lot of noise and not enough empirically grounded thinking around what all this complexity means for organizations. Paul Gibbons' new book is the signal in the noise that we need to help frame the conversation drawing inquisitively from both the complexity and behavioral sciences. Wonderfully researched and well-written. A must read for any leader seeking to successfully navigate their organization during times of transformation." 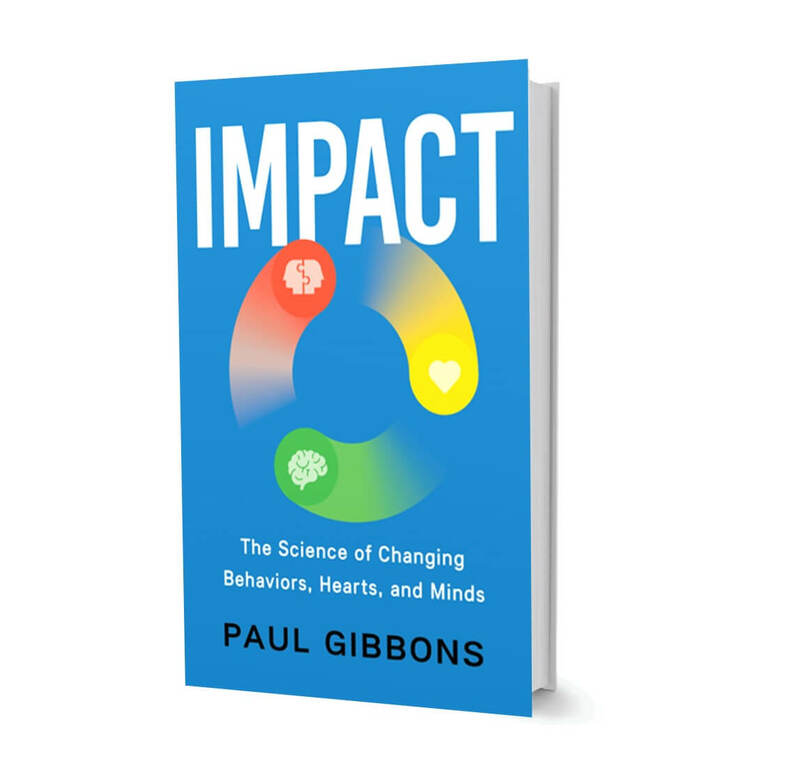 "Paul Gibbons rethinks change management with a 21st-century approach that exchanges cargo cult management for an evidence-based approach built on neuroscience and complexity sciences. Buy it, read it, and place it on the bookshelf next to The Halo Effect, Switch, and The Fifth Discipline—in easy reach for rereading." "Organizational change is a huge industry filled with buzzwords and fads and suffering from an unacceptably high failure rate. Paul Gibbons applies scientifically founded, rigorous thought and practical wisdom to this charlatan-filled domain, and produces actionable, sensible, evidence-based insights that can make change efforts much more likely to succeed and organizations much more agile and effective."